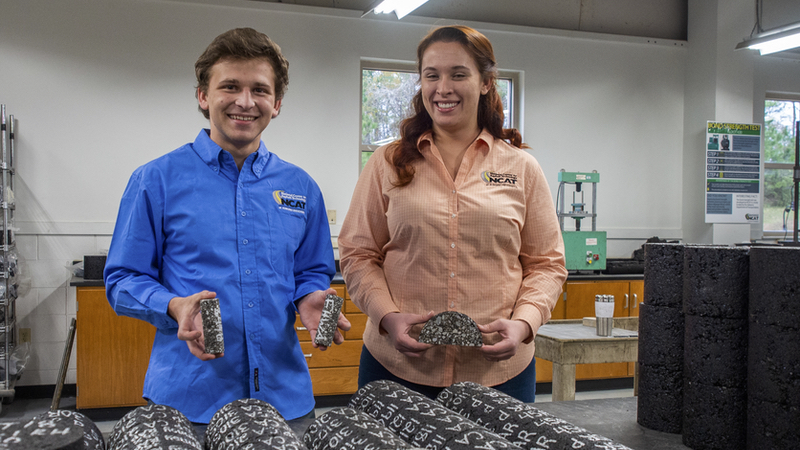 Daniel Lowell and Nicole Reed display asphalt samples in the NCAT laboratory. 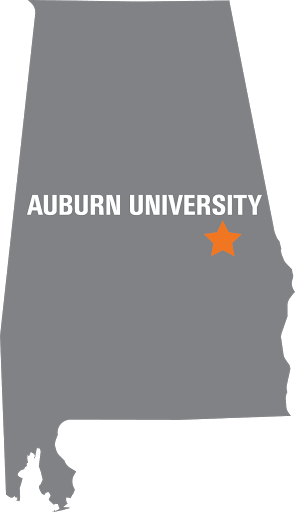 Auburn University civil engineering students Daniel Lowell and Nicole Reed have been selected to receive the 2018 Barton S. Mitchell Memorial Asphalt Industry Scholarship. This annual scholarship is aimed to support full time undergraduate students studying engineering with special interest in those wishing to pursue a career in civil engineering. Daniel and Nicole have each completed three semesters as a part-time laboratory technicians at NCAT through Auburn’s cooperative education (co-op) program and recently participated in the asphalt mix design competition sponsored by CRH Americas Materials, Inc. Co-op students at NCAT help to improve the overall quality of results coming from the laboratory and Test Track and typically move on to careers in the asphalt pavement industry after graduation. The Barton S. Mitchell Memorial scholarship was established by the National Asphalt Pavement Association’s Research and Educational Foundation in memory of Bart Mitchell, a retired asphalt paving company executive. Bart was a past president of the Maryland Asphalt Association and the Maryland Highway Contractors and served as chairman of the board of the National Asphalt Pavement Association. He was inducted into its Hall of Fame in 2010.